Six different color options available: blue, gray, green, orange, purple and red. 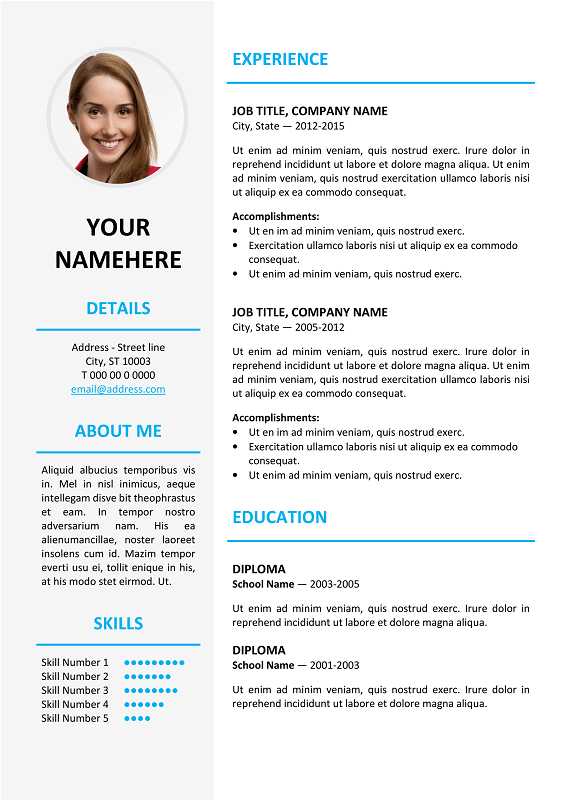 Download the MS Word elegant resume template for free! Like most of CVs available in the website, when you look at it you don’t know what is the scope of skills of the applicant… It’s hugely missing a CV title. I really liked this resume model. Thank you! thank you dear. if there is marketing cv found that will be awesome.